Remember when you asked your English teacher how long your term paper had to be and they answered “As long as it needs to be”? This year’s group of live action short nominees does. The five stellar films will quicken your pulse, break your heart, educate and bring a welcome giggle, all offering satisfying cinematic visions in smaller packages. A troubled young man (Bo Mitchell) enters an elementary school office, heavily armed and ready to kill, and a terrified administrator (Tarra Riggs) becomes mediator between the gunman and the police. Awash in breath-holding tension, the film boasts two terrific lead performances and a filmmaker with fine instincts for effective restraint. 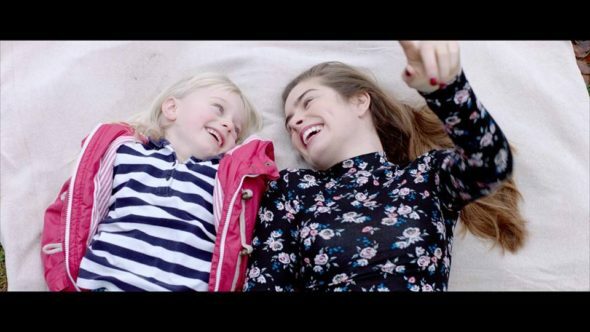 Libby (Maisie Sly) is a four year-old deaf child who bonds with the social worker (Rachel Shenton) teaching her sign language. Shenton, who also wrote the film, is an advocate for deaf awareness and her passion shines through in this heart-touching and informative short. My Nephew Emmett – USA Wr./Dir: Kevin Wilson, Jr. In 1955, Mississippi preacher Mose Wright (L.B. Williams) tries to protect his 14-year-old nephew, Emmett Till (Joshua Wright) from two racist killers out for blood. Based on a true story, Kevin Wilson Jr.’s film is mournful and built from a simmering dread, but ultimately lifted by a spirit that that will not be broken. While a temp secretary (Alyssa McClelland) minds the appointment book, a delusional patient (maybe Damon Herriman) of a psychiatrist (maybe writer Josh Lawson) believes he is actually the psychiatrist. As each attempts to treat the other, the session gets out of control. Seemingly inspired by Monty Python’s famous “Argument Room” sketch, it’s cleverly cheeky and sometimes hilarious. Based on the 2014 attack by Al-Shabaab militants on a Nairobi-bound bus near the Kenya-Somali border, Watu Wote is grounded in a familiar narrative theme, but buoyed by director Katja Benrath’s gracefully subtle hand. It’s a somber yet inspiring salute to courage, love and mercy.